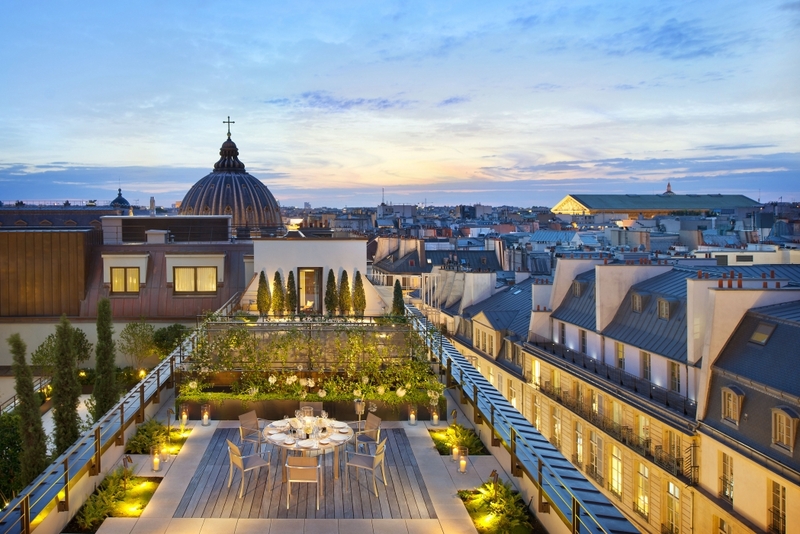 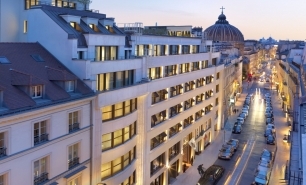 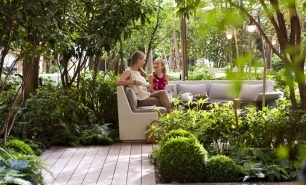 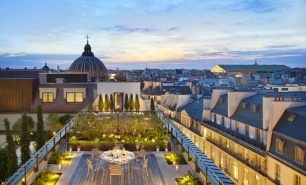 The Mandarin Oriental Paris, which opened to guests in June 2011, is located on the prestigious rue Saint-Honoré, close to some of the world’s most exclusive fashion houses and the city’s most famous attractions such as the Louvre, Musee d'Orsay, Place Vendôme, Tuileries gardens and Opera Garnier. 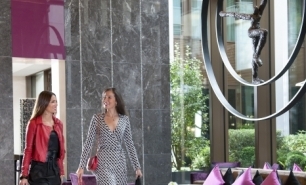 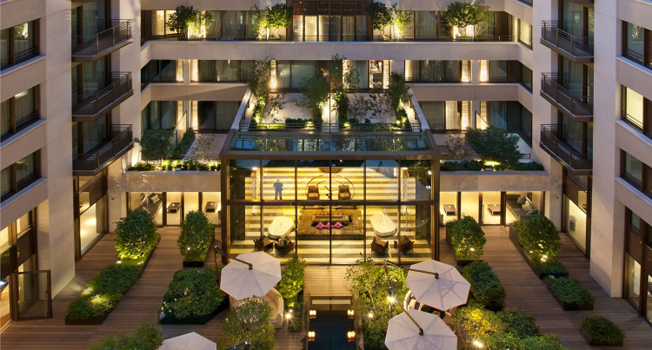 The hotel features modern architecture and has been built around a courtyard with a beautifully landscaped garden. 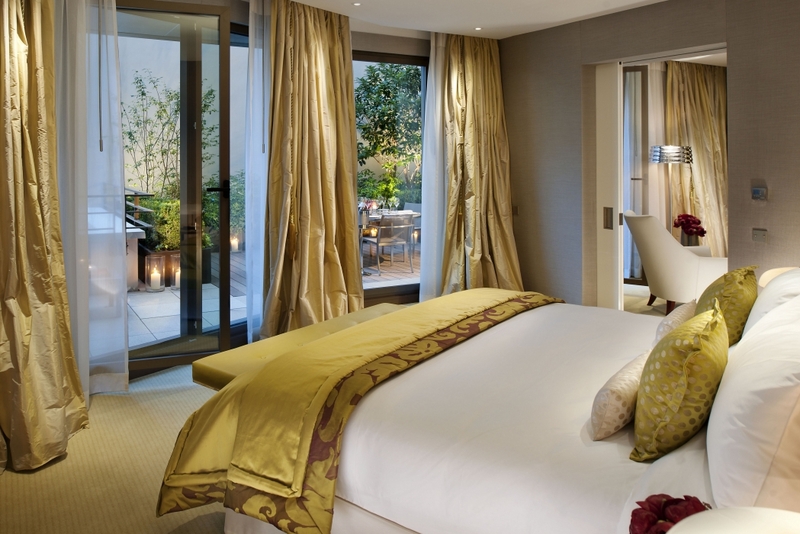 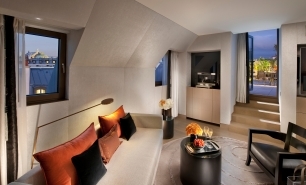 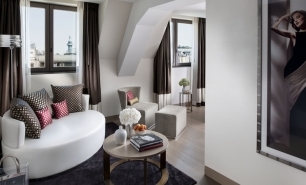 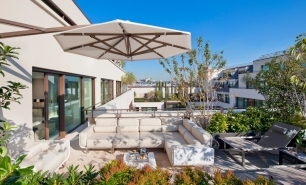 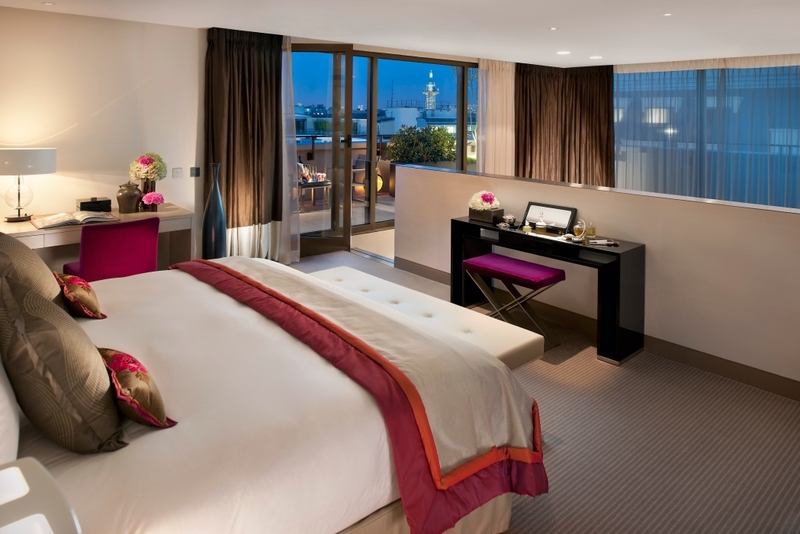 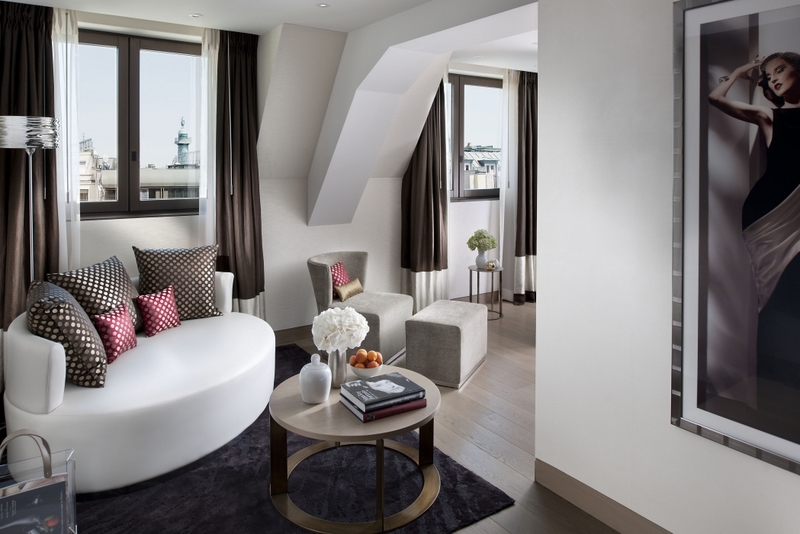 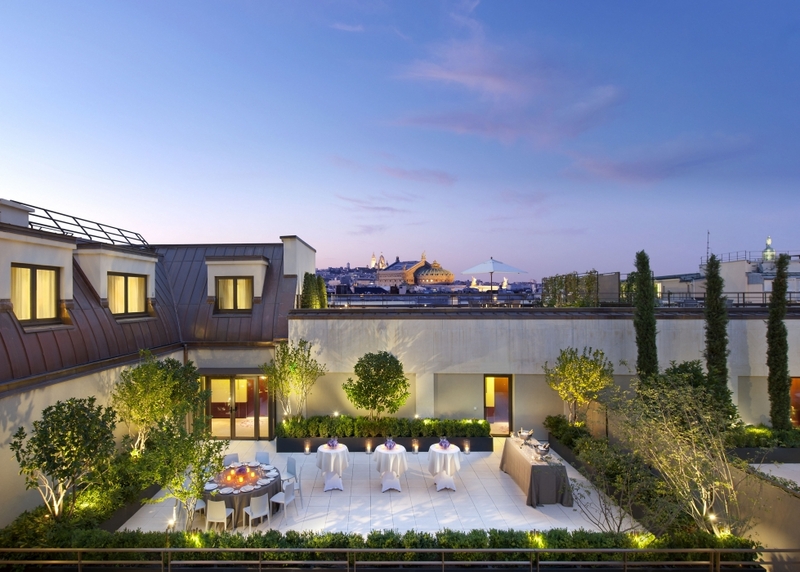 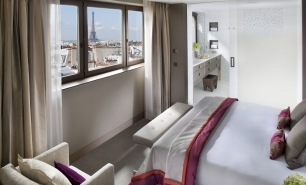 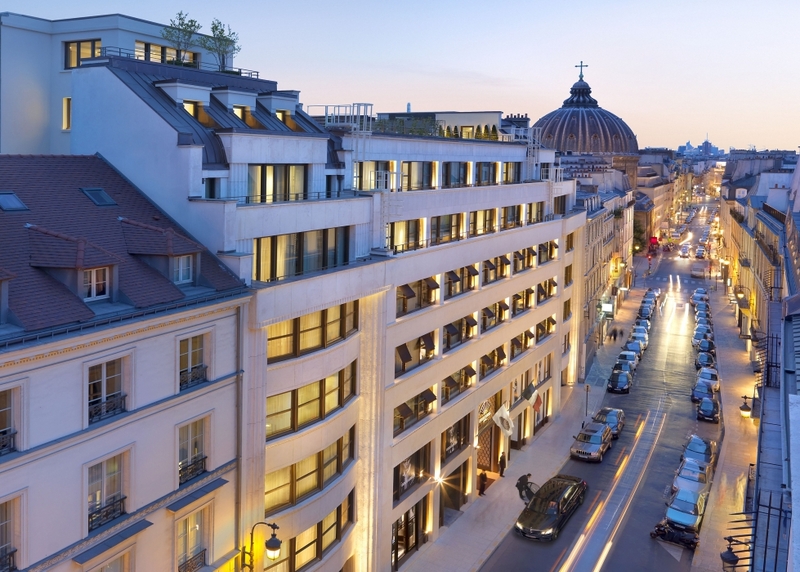 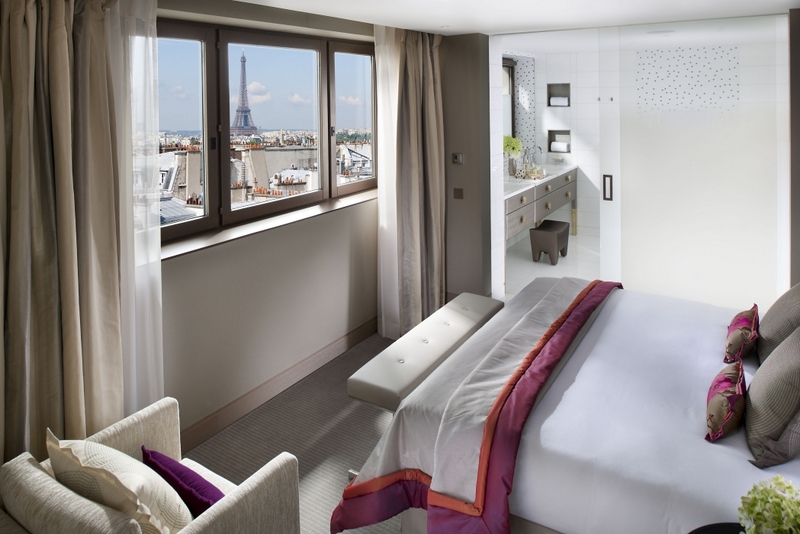 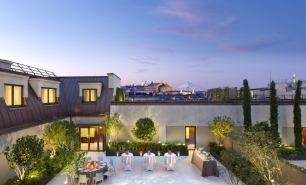 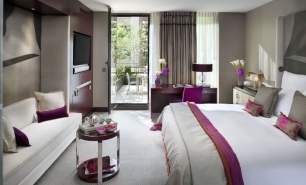 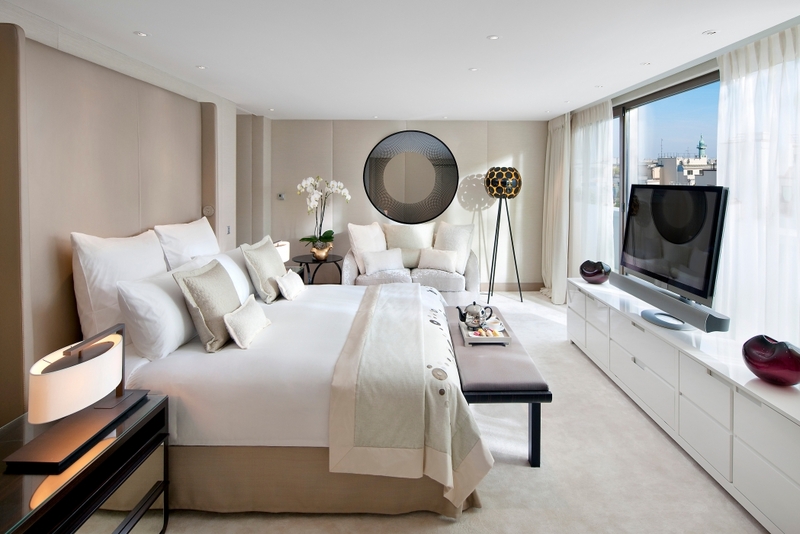 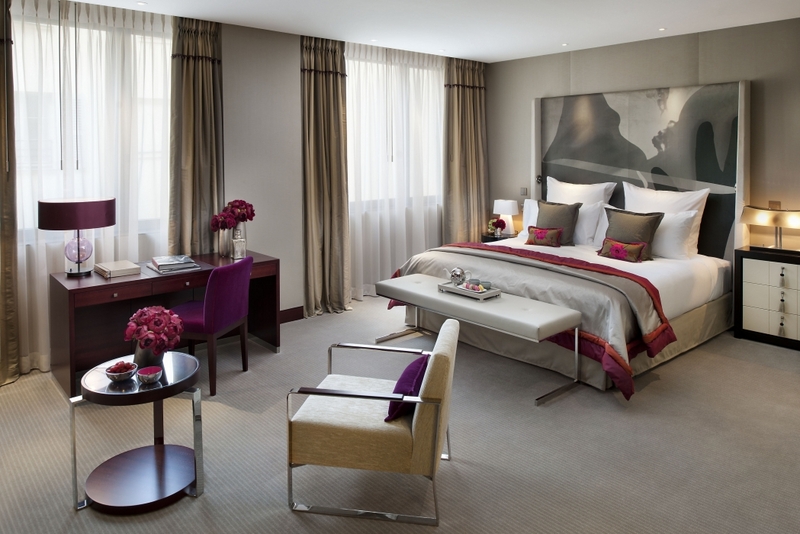 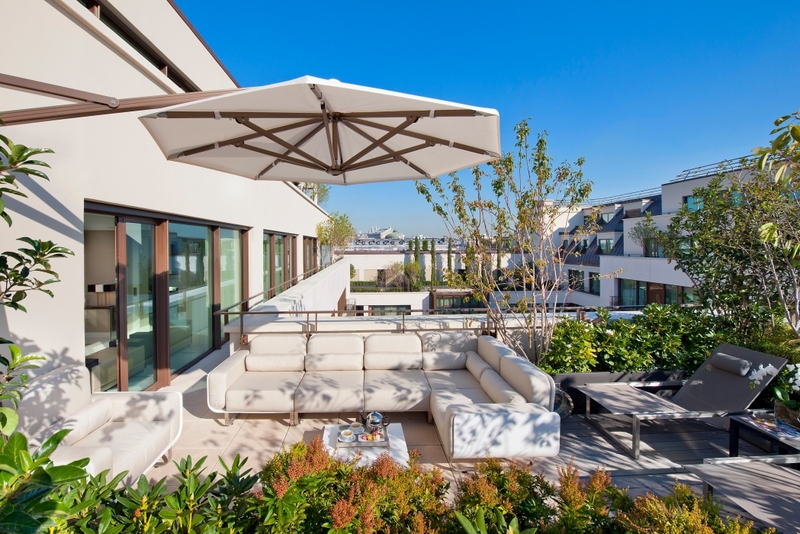 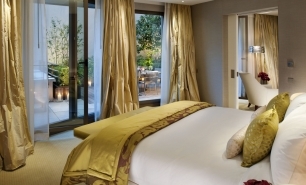 The Mandarin Oriental, has 99 guest rooms (37-53sqm) and 39 two- and three-bedroom suites (55-162sqm) which are among the most stylish and spacious in Paris. 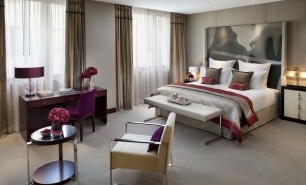 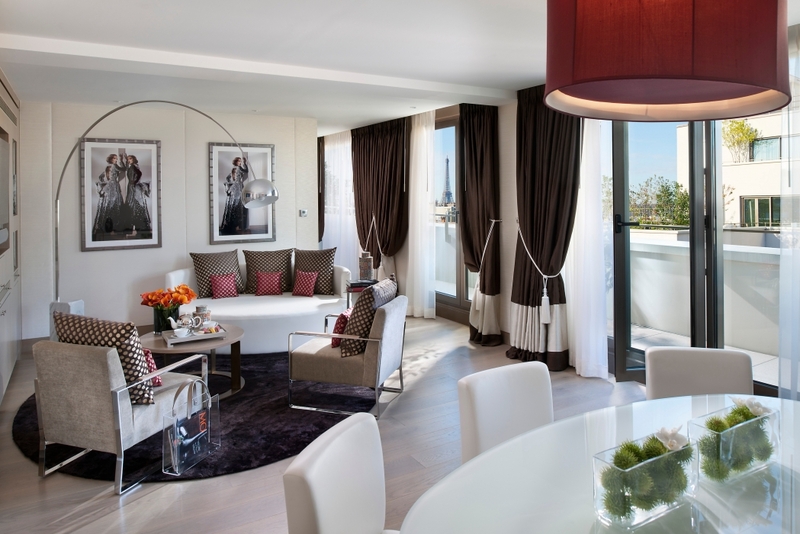 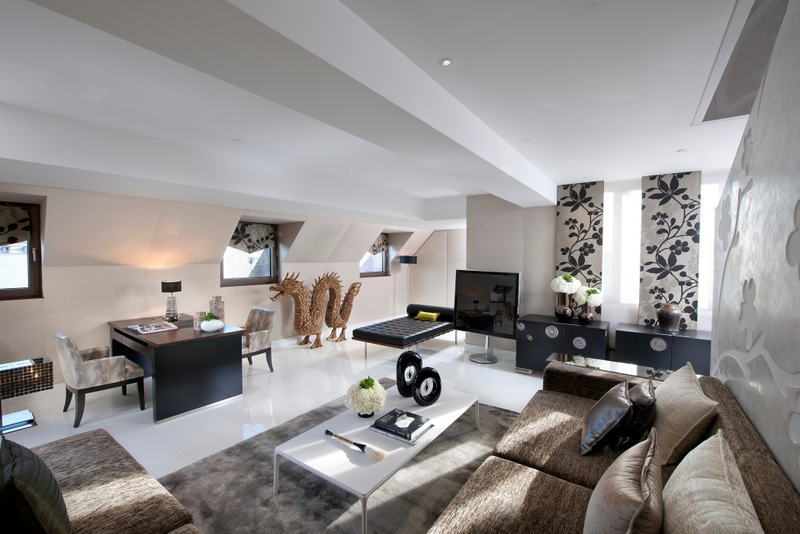 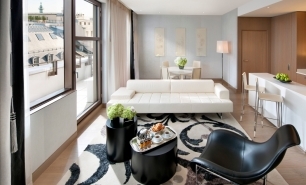 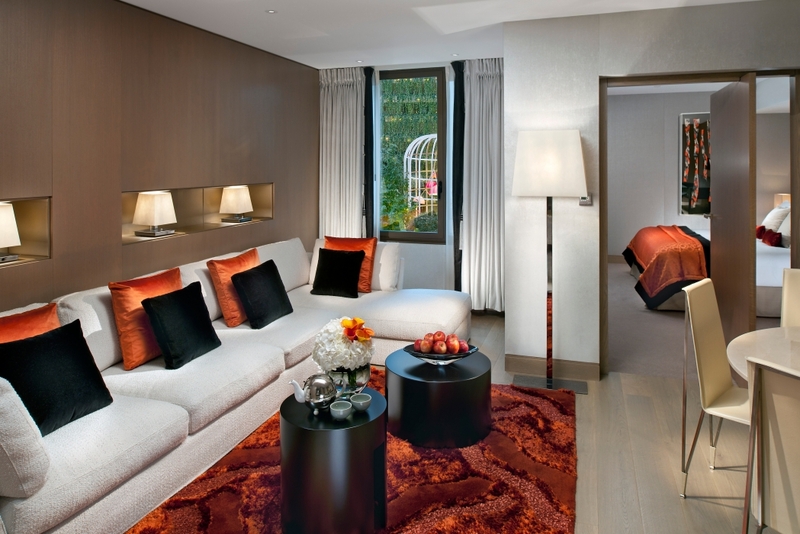 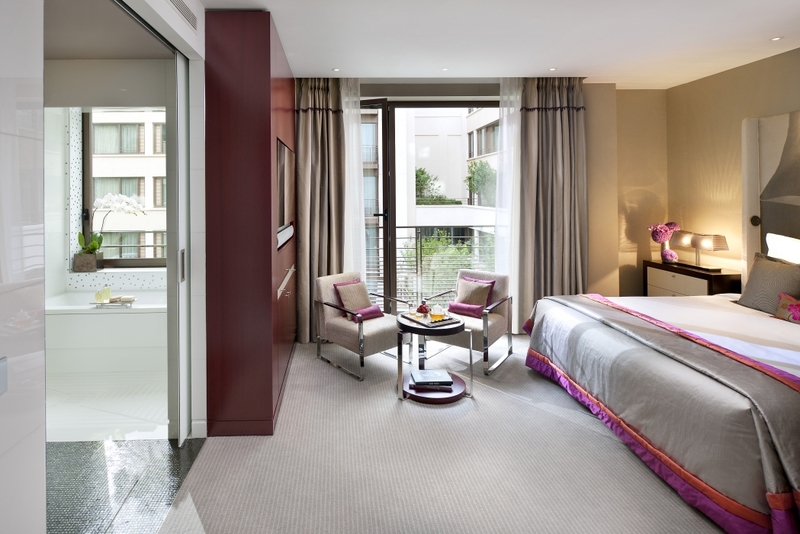 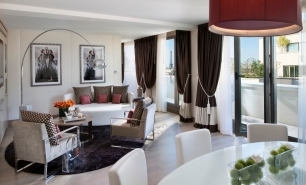 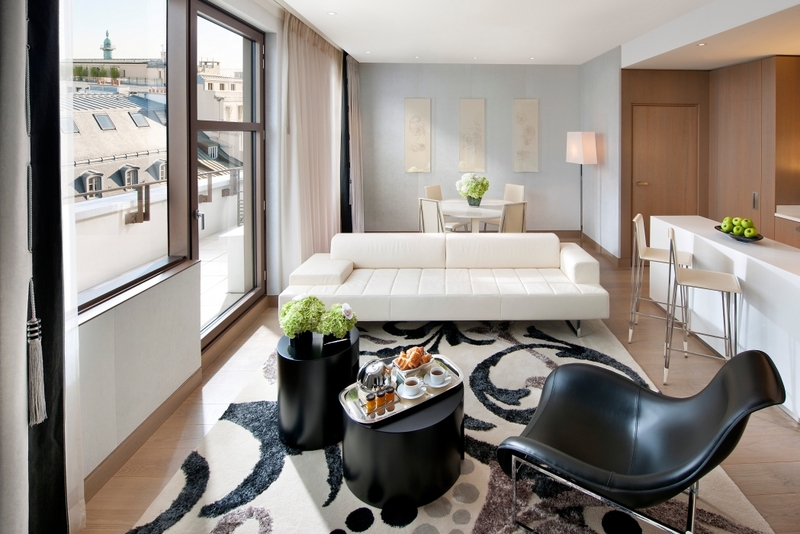 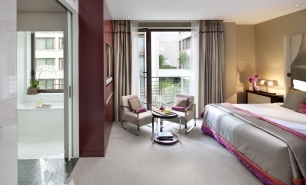 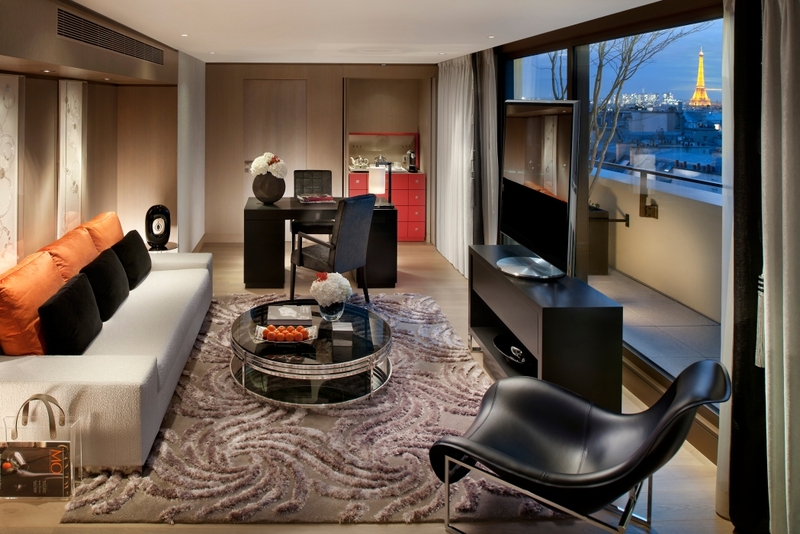 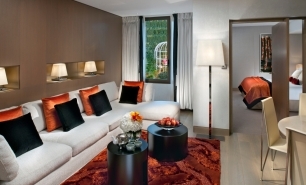 Some of the suites feature balconies, while the Royale Mandarin Suite (252sqm) has a stunning 360-degree view of the city. 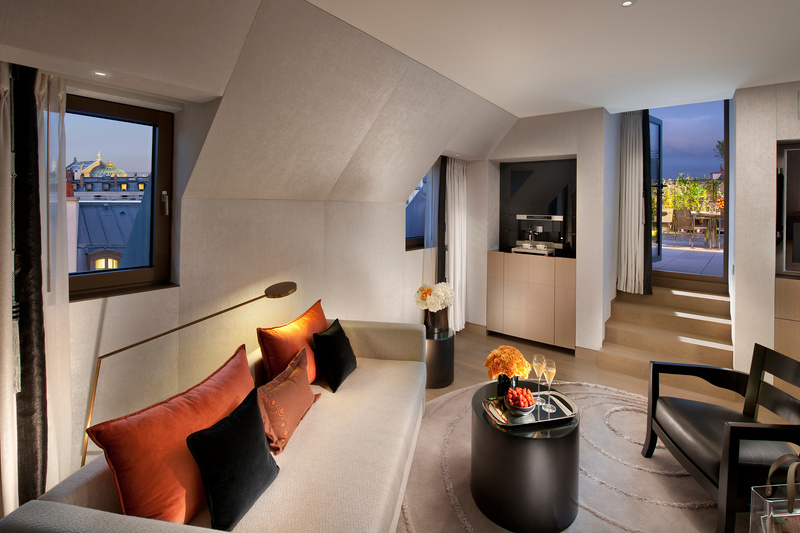 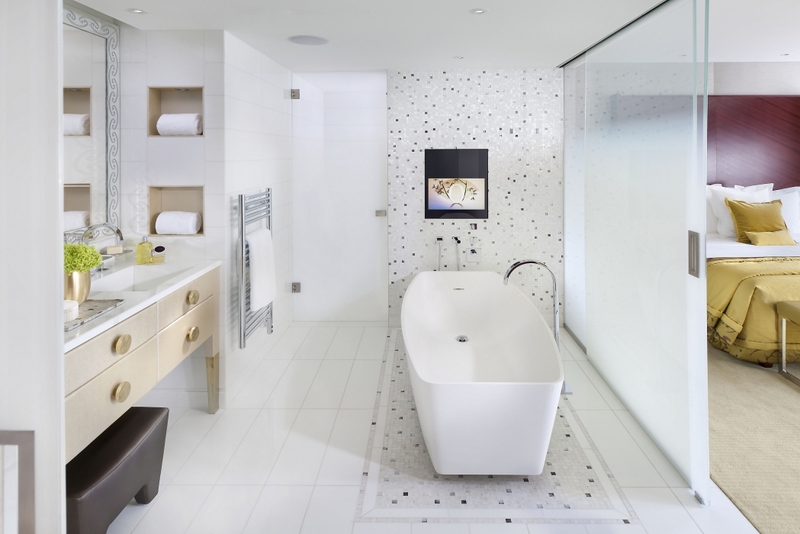 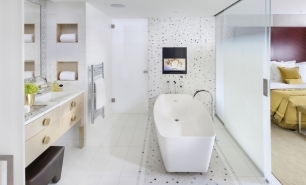 The hotel also has a huge Penthouse suite (407sqm). 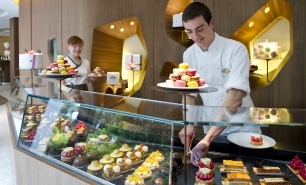 The hotel has 2 restaurants, a bar, and a Cake Shop, all under Michelin star Chef, Thierry Marx. 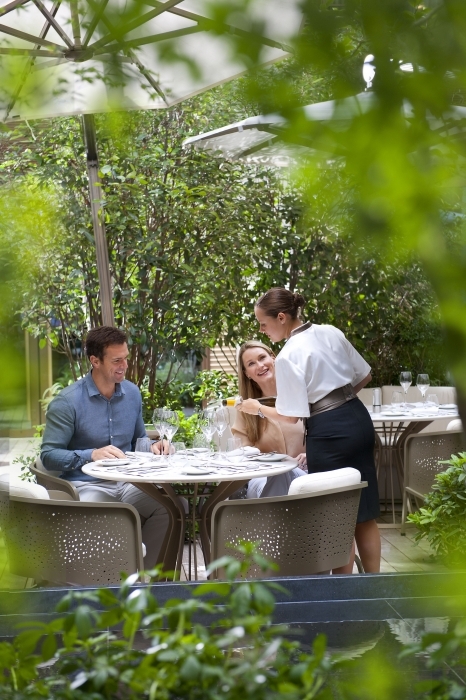 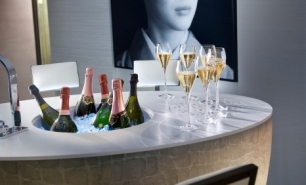 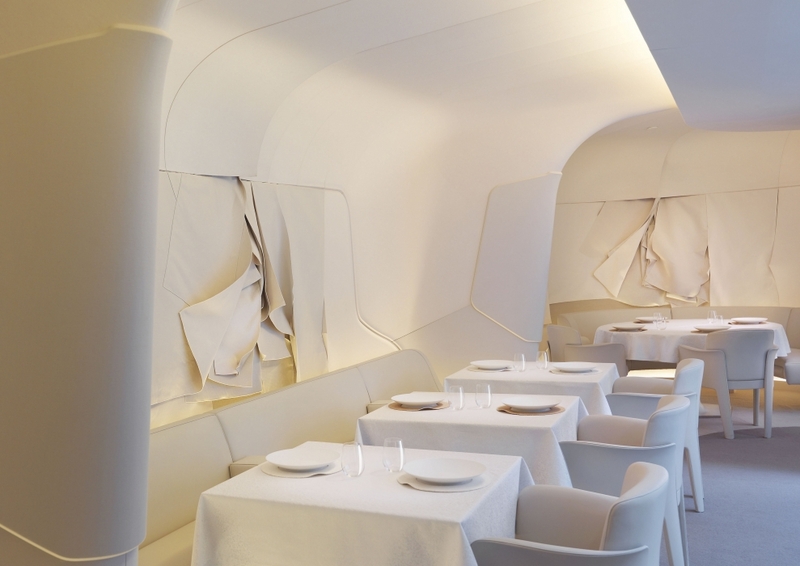 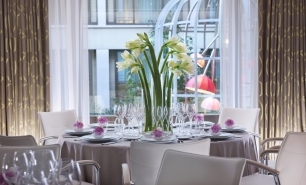 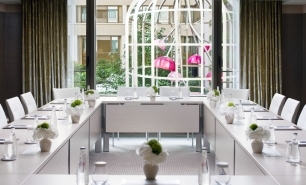 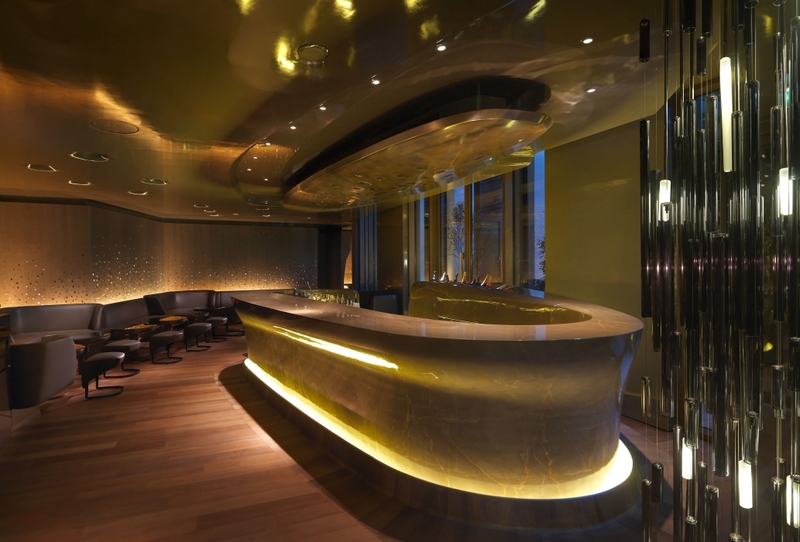 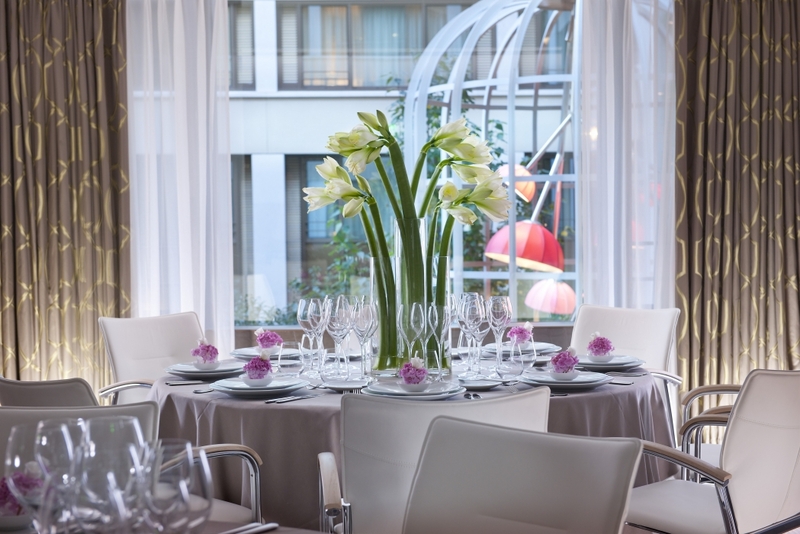 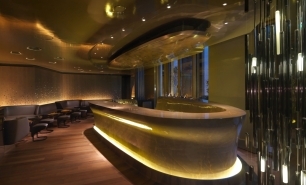 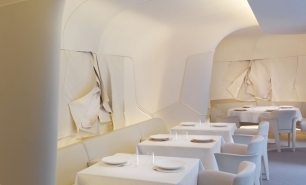 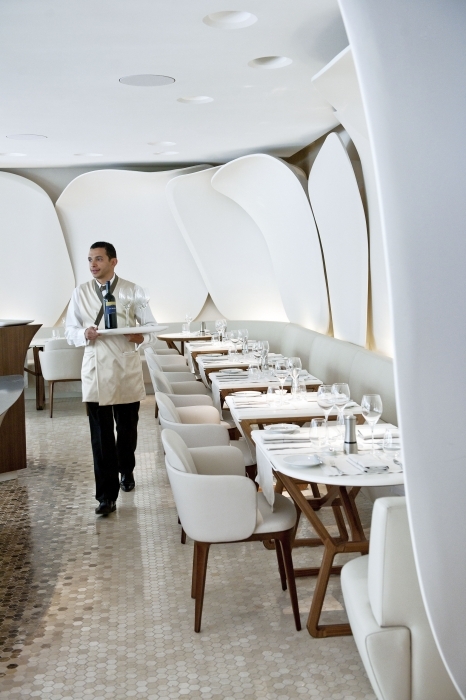 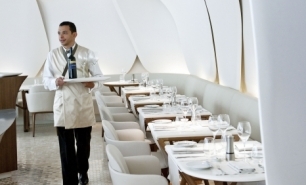 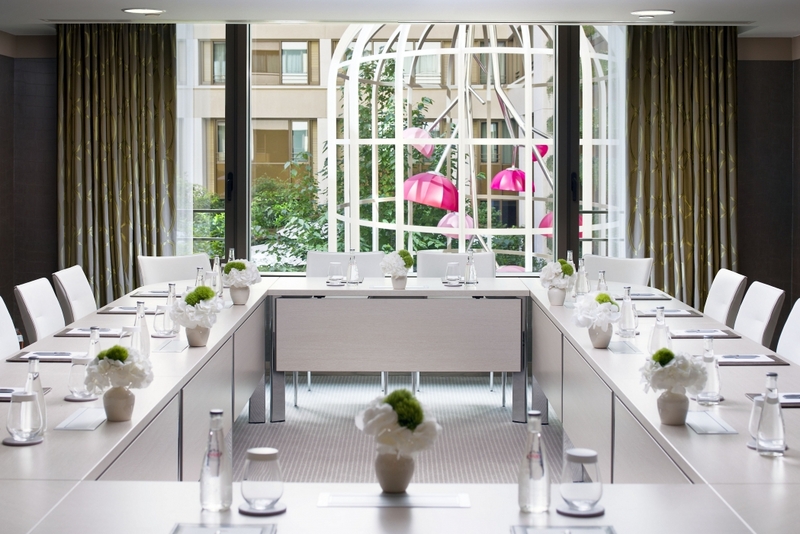 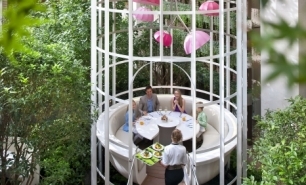 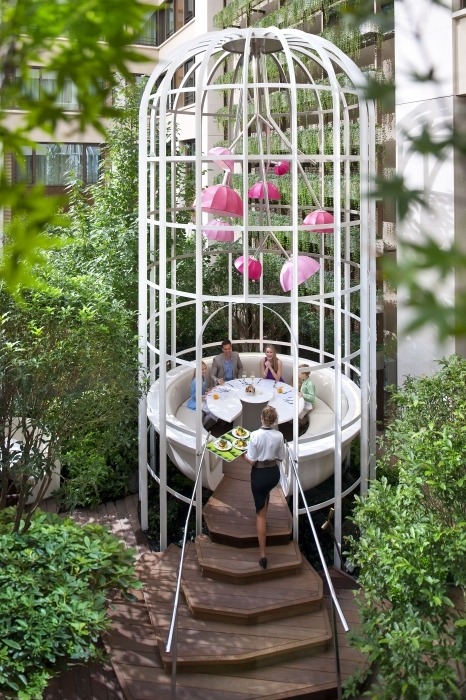 The signature restaurant "Sur Mesure by Thierry Marx" was awarded two Michelin stars in 2012. 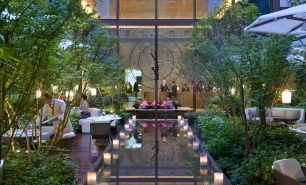 Camelia offers an all-day French menu, while Bar 8 is ideal for upscale cocktails and tapas. 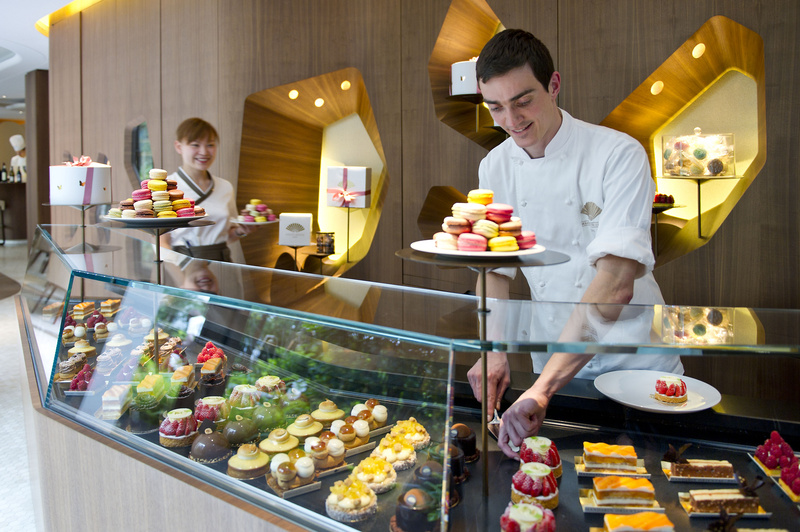 The Cake Shop is a bakery serving cakes and pastries. 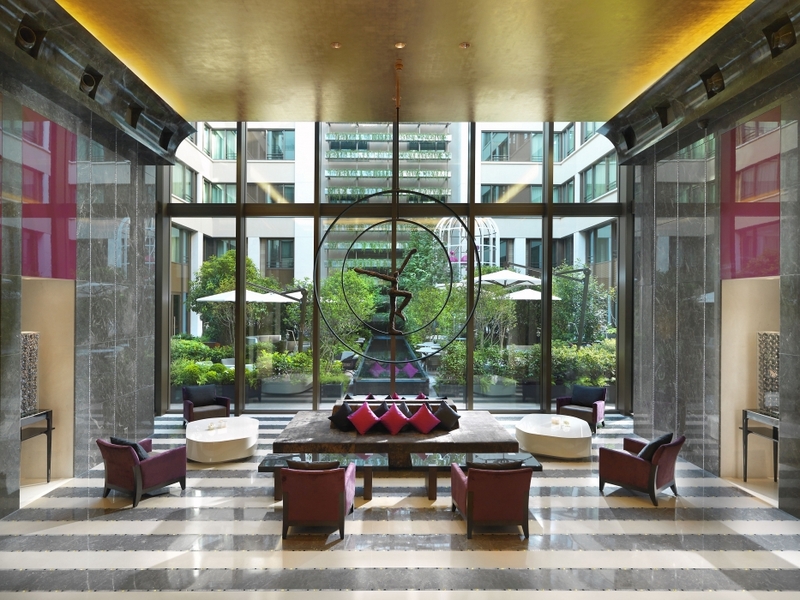 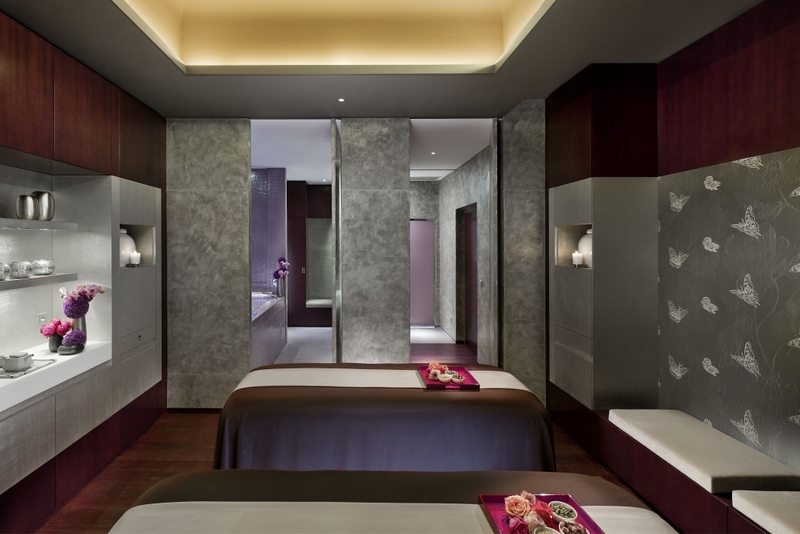 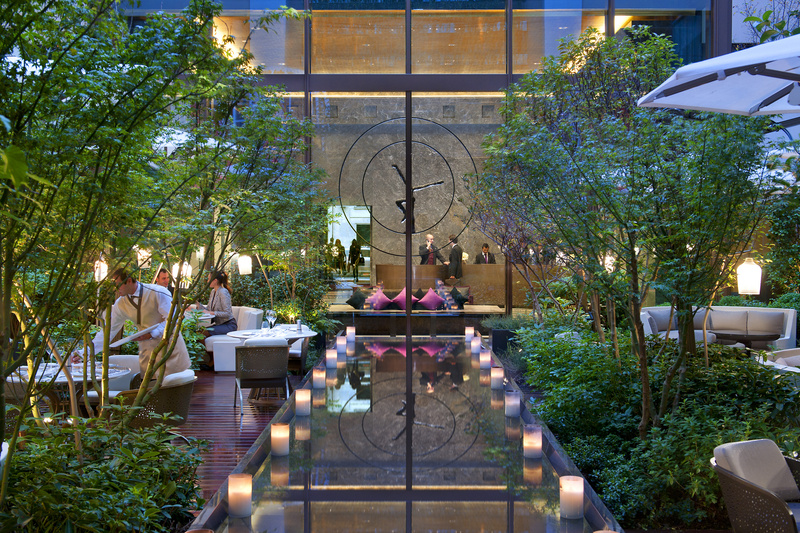 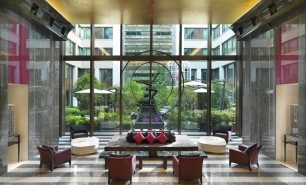 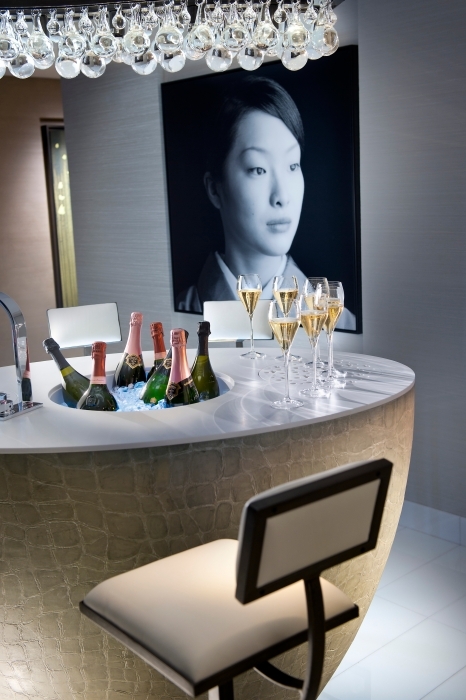 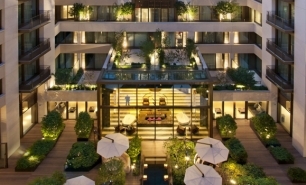 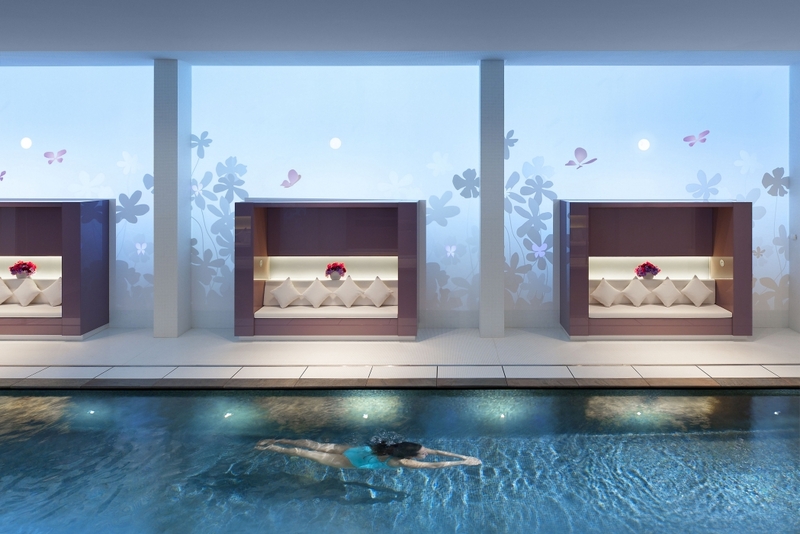 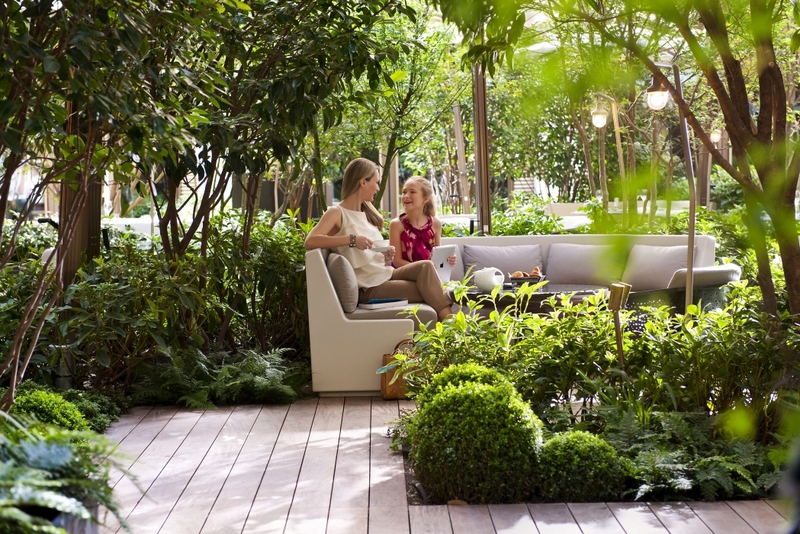 The Asian inspired Spa at Mandarin Oriental is one of the largest spas in Paris. 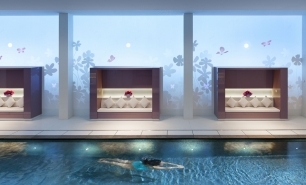 It features a 14 metre indoor pool and seven treatment suites, some of which have vitality pools. 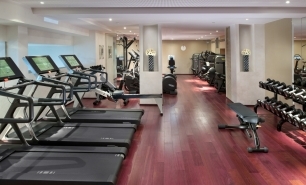 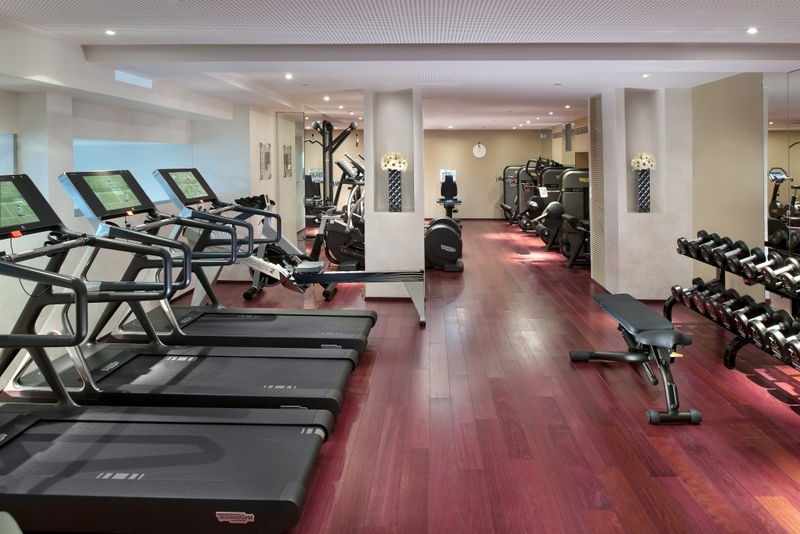 The hotel also has a Turkish bath and a fitness centre. 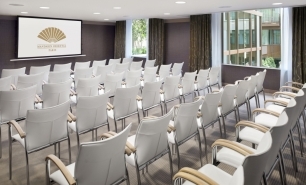 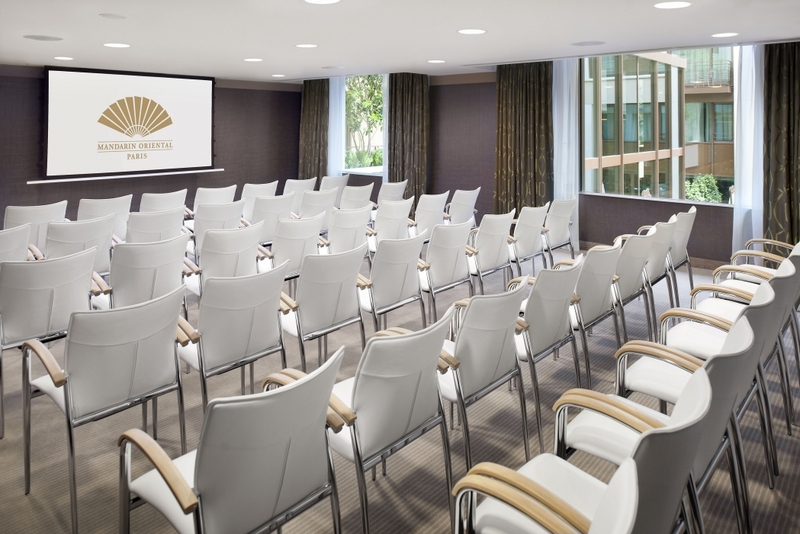 The hotel is 40-50 minutes to Paris Charles de Gaulle Airport (CDG) 40min from Paris Orly (ORY) and 40-45 minutes from Le Bourget Airport (LBG), 10 minutes by car from Gare de Nord train station for trains from London and Brussels.